Nokbak is a first-person multiplayer arena shooter... with a twist! Built for 3 to 8 players, players don't shoot to kill, but rather find themselves frantically trying to knock each other off of an arena in the sky. 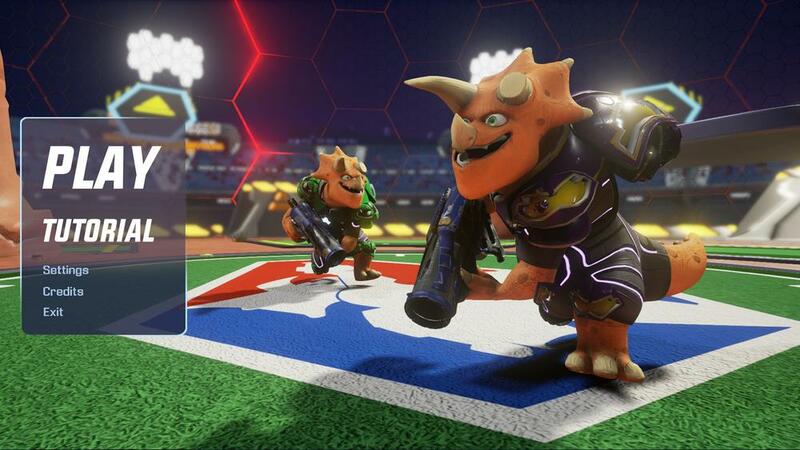 Set in a future where dinosaurs never went extinct, they've now evolved and developed their own professional sporting leagues, the most prominent being NOKBAK. What makes NOKBAK unique is that anyone can win at any point in the game. We capitalized on the idea that it's not over till it's over. We mean it. Bounty Mode, a game mode in which you earn every KO'd player's points, is a core mechanic of this game and insures that even the player in last place can make a comeback. Even the top scoring players will have to watch their back! As players' scores grow exponentially, things get crazy quickly, even more so with lots of players.